This month we’re very pleased to offer you two new fantastic, washed, organic Ethiopian coffees from two different wash stations in the West Guji Zone: the Kellenso Mekonissa and the Kercha Dubissa Bedessa. Both are produced by fourth generation farmer and mill operator, Aklilu Kassa along with his son, Biniam Aklilu Kassa. Both coffees are C.A.F.E. certified for sustainability in production, environmental impact and socio-economic impact as well, and moreover both cups are uniquely bright, fruity and quite complex. 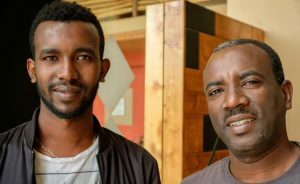 These two organic Ethiopian coffees are from fourth generation producer Aklilu Kassa and his son, Biniam Aklilu Kassa, chief operators and proud owners of both the Bedessa wash station and the twenty-year old Mekonissa wash station. Father and son produce Typica and other local heirloom varieties (one simply named “Guji”) under the protection of natural shade trees that include enset (false banana), bamboo and avocado at nearly 6,400 feet elevation in the Oromia Region and West Guji Zone. The farms employs 170-250 seasonal workers and a full-time staff of 12. For generations local families have grown and picked from their own ‘back-yard’ plots, ranging 1-4 acres in size. 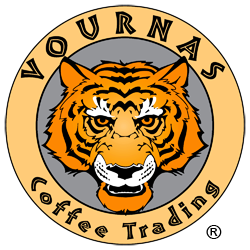 Incredibly, coffee here flourishes in the wild as a sustainable cash crop along with a variety of mango and banana. Once the coffee cherries are pulped and washed, they’re fermented for between 16-48 hours (depending on temperature, cloud cover, etc) and then laid out to sun dry on drying tables where they’re stirred regularly and covered when the sun is hottest, from noon to 3:00PM. Both of these organic Ethiopian coffees have some very complex cup profiles—the Kellenso Mekonissa has notes of apple, grape, juicy plum, nectarine and coffee flower, while the Kercha Dubissa Bedessa cups with notes of lemonade, pink lady apple, coffee flower, dried eucalyptus, lemon balm and english breakfast tea. 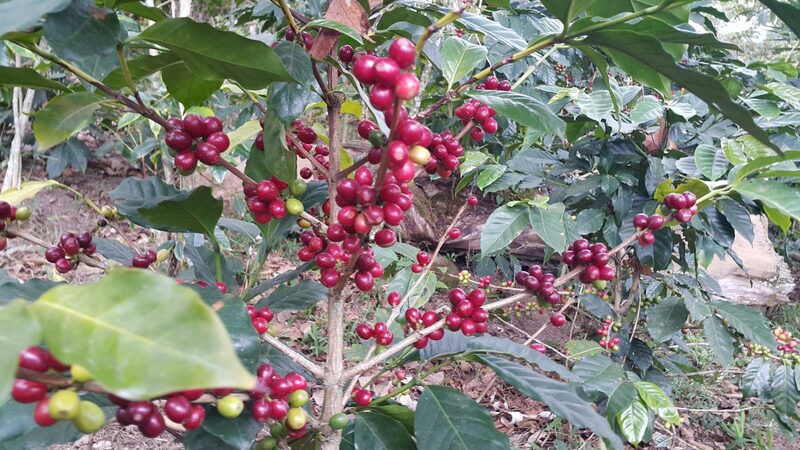 The Kassa family producers have lengthy history in coffee; a few decades ago Aklilu Sr.’s grandfather received a 1,200 acre land grant in Guji during the reign of Emperor Haile Selassie. Aklilu’s father then made Guji history in 1995 by founding the very first privately-owned washing station, following many years working as a cherry collections agent. This first wash station by the name of Kassa Chirressa was where Biniam Aklilu, then 28, began working for his father who still operates the mill. We also have available our natural, sun-dried Harrar Gololcha Q Sun-Dried from the Tiret Coffee Producer’s Cooperative Association (TCPCA) and our washed & sun-dried Semalo Pride Gelana Special Prep GR2 from Yirgacheffe — now in just its third year of production.